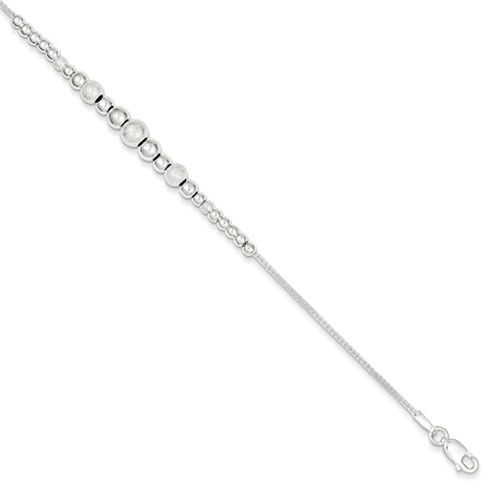 Sterling silver bracelet has beads of different sizes. Length: 7 1/2in. Lobster clasp. Laser-cut. Weighs 3.5 grams. Made in the USA.